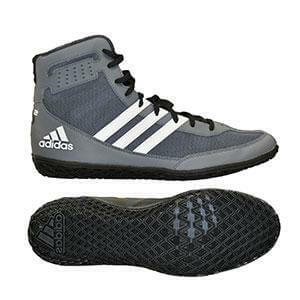 The original competition shoe. 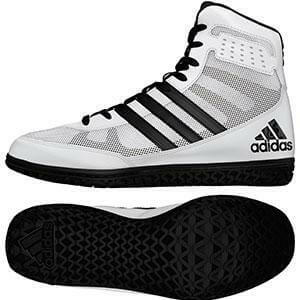 the adidas Combat Speed is the standard to which all other wrestling shoes are judged. 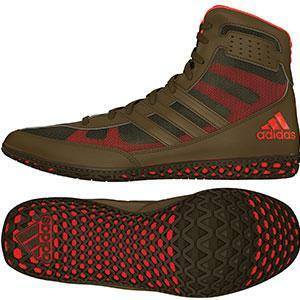 Sock-like fit meets uncanny support in this ultra-lightweight shoe. 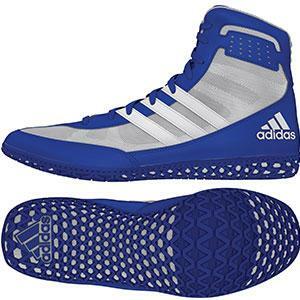 Extremely breathable single layer mesh body ‘fits like a sock.” Flexible, supportive TPU 3-stripes teamed with integrated side panel ‘Integral Support Strap’ reinforces the ‘sock-like’ fit. Split-suede leather outsole overlays allow for the right amount of grip.